Elliotts Operation Manager, Steven Webber, has recently been presented with an award from the Builders Merchant Federation. Having recently completed the BMF-supported Masters of Science in Leadership & Strategy, Steven was then informed he had been awarded with ‘Best Performing Student’. The award, sponsored by the Worshipful Company of Builders Merchants, was presented on Wednesday 20th September at an Awards Dinner following the Members Day Conference. 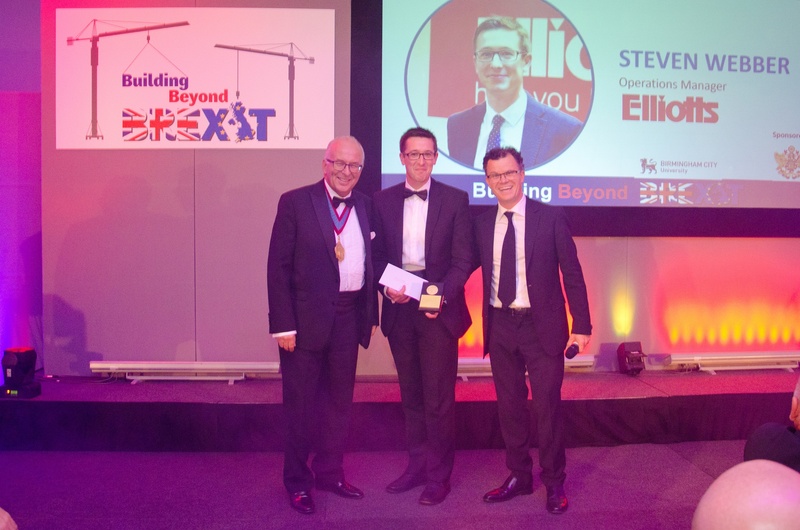 Steven, who graduated from the Masters course in July, said “It was a real honour to receive the Golton award for best performing student at the BMF Members Day. It was a fantastic evening and great to share in everyone’s accomplishments. Congratulations to Steven on this fantastic achievement.